Purchasing new countertops can be a mystery if you have never done so before. When do I need to start shopping? What do I need to do to prepare? How much is this going to cost? There are a number of questions that come to mind, don’t worry, we have you covered. As in any large purchase, the first step is education. You want to prepare yourself with questions to ask about the product, process and what to expect during your transaction. We have prepared a FREE, educational resource to help you better understand the process, we hope it helps. How long will it take to get my new countertops? What is included in my project estimate? Do I get to hand select the slab I purchase? 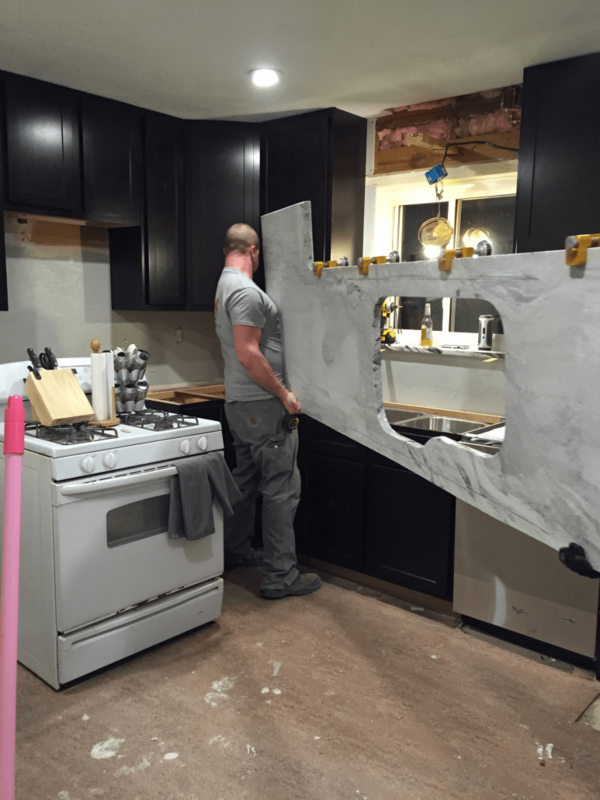 Where will my countertops be fabricated? It takes a lot of work and some serious machinery to turn a rough rock into the beautiful granite countertops you see on TV and in magazines. 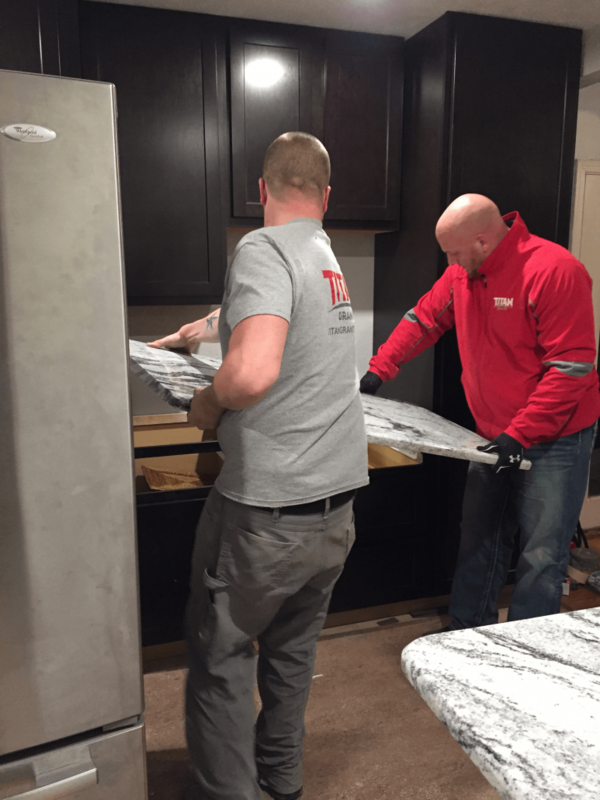 Titan Granite handles the entire fabrication, or creation process in house. Once you have selected the stone of your choice you will schedule your in-home template. This is the process of laser-measuring your kitchen so that we can fabricate your countertops to fit in your kitchen perfectly. 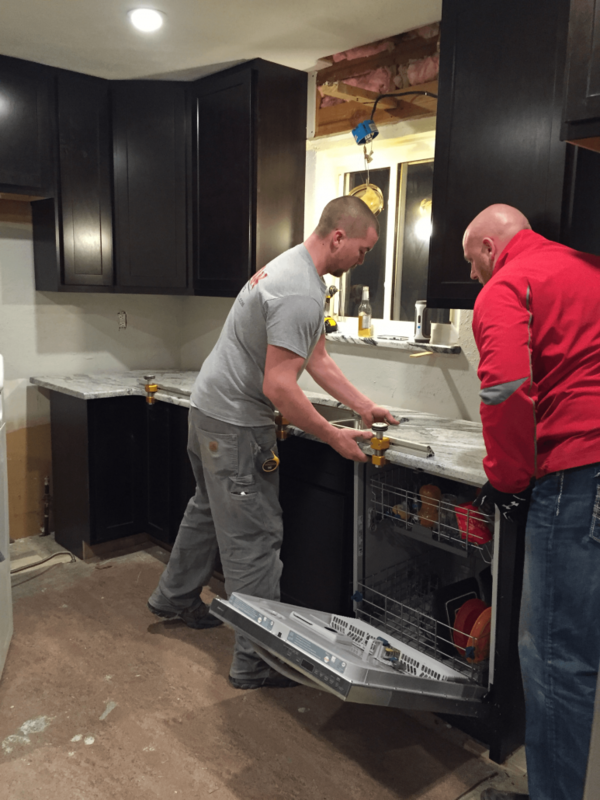 After the template, we get to work creating your new countertops. We have a CNC machine that cuts and polishes your new countertops to perfection. After a quality control inspection, the job is loaded onto our trucks and sent out for install. It sounds easier than it is, this whole process can take anywhere from 2-4 weeks and is outlined in the graphic below. Titan Granite travels all over to bring you unique stone choices you won’t find anywhere else in the St. Louis area.